I always think summer holidays are a better time to review and reflect on the past year and make new resolutions compared to New Years. We are usually soo busy getting ready for Christmas we don’t have a lot of time to think about how we would like to next year to look like never mind how we can shape it. 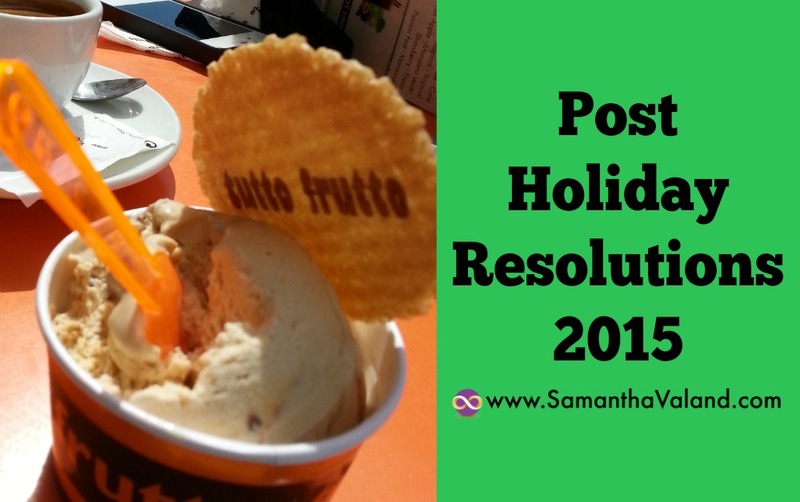 You can read my 2014’s post holidays resolutions here. This year feels quite different another year into my peri-menopause journey. There always seems a big gap between knowing what we need to do to be healthy and being able to fit that into how we life our lives. Quite different to last year’s resolution I have created 3 habits to create a strong healthy wellbeing foundation. Some are quite well established others are still a work in progress. They all have one thing in common, flexibility. This is because there is one thing you can be certain of, your menopause is always changing and you need to be always willing to adapt your lifestyle to support it and not the other way around! I normally annoy my husband by falling asleep as soon as my head hits the pillow. This year however I have noticed a change to my sleep patterns. I have often woken up and felt like I haven’t had a decent night’s sleep. Not sleeping well can have a huge negative impact on lifestyle and waistline as it impacts how you eat as well as your motivation and energy levels for exercising. Sleep problems are normally caused by falling estrogen levels so you may find you sleep differently at different parts of your cycle. As I’m a little bit geeky I bought a Fitbit Charge which has helped me pick up patterns. Red wine is out, as is working or exercising late. Coffee doesn’t appear to affect me either way. Where I am in my cycle also has an impact. I have found a magnesium supplement has helped (please check with your Doctor before taking yourself). On top of my normal bedtime routine of turning off ‘blue screens’ such as iPads & TV early and reading before bedtime have all helped to improve the quality of my sleep. It has been a real ‘trial & error’ process as what works for one person doesn’t automatically work for someone else. If I don’t need to get up early for work, I sleep late where I can. This is quite hard for me as I’m an early bird but I do notice a difference when I don’t bounce out of bed at the crack of dawn and get a few extra zzzz’s! Focusing on how to get a good night’s sleep can have a positive domino effect. It can automatically lift your mood, help you make healthy eating choices rather than for eating energy and also help you to move more. I now wait 24 hours before saying yes or no to work or certain invitations. Just to make sure that I have thought it through and have enough time to do it. Most of my work includes preparation time, sometimes travel time as well as the actual delivery so it has to be financially viable as well as enjoyable. Getting into the habit of saying ‘I’ll let you know tomorrow’ is harder than it sounds, but it is amazing the amount of impulse decisions we make in a day which aren’t always in our best wellbeing interests. It also lets me check what part of my cycle the request falls into as I know my energy levels fluctuate throughout the month. Duvet day is an American term for taking a day off work, just because. As we get older the responsibilities get bigger. Combine that with the menopause, and there are days where having a day off, ignoring your to do list and not doing much at all is good for the soul. I know some people like to take themselves off to the movies on their own. I’m usually happiest just pottering around at home in my PJ’s with something entertaining to watch and some good food. Literally being able to put my feet up. Being disconnected from the web is so important for Duvet days, as you need to be in your own wee bubble to help your head declutter as well! Duvet days are all about self care. Recharging your batteries rather than just bashing on. It’s often difficult to do during the working week so sometimes it’s an afternoon and isn’t that what Sundays are for! Clearing your diary and saying ‘no thank you’ to invitations! Resolutions aren’t always about losing weight and/or exercising more. Making positive changes in the way you life your live becomes more important as you get older. However these changes may be different to what you would do in your 20s or 30s to improve your wellbeing. My above list probably wont suit you as we will have different lifestyles and commitments. Keep adapting, find out what works for you and keep doing it. The trick is not to stop!